We've all seen it on some old show or another, the big roast pig comes out to the feast on a platter that takes four people to carry, with a juicy red apple in its mouth. Yum! I think I've seen it roasted in Hawaiian movies, medieval movies…talk about a culture gap! So why the apple? What makes pairing fruit with the pig so popular? I did a little look into the fruits that are often cooked with meats. Mostly in the European style, though Asians do it famously, too. A lot of times I feel that we don't really think twice about sweet meat, unless we have something against it. I can't stand sweet pork in my Mexican food, yet I'll dip my pork chops in applesauce. We even roast our chickens and shrimps in honey. Some of my family throws sugar or honey in with their ground beef when making spaghetti or lasagna. I'm not a fan, but they like it. Dip my pork chops in applesauce, though, and people look at me like I'm the crazy one. Apple sauce isn't nearly as sweet as honey or straight sugar in your meat. I like the combination of flavors when mixing sweet and savory. Fruit brings a more subtle sweetness that doesn't overwhelm the flavor of the meat. 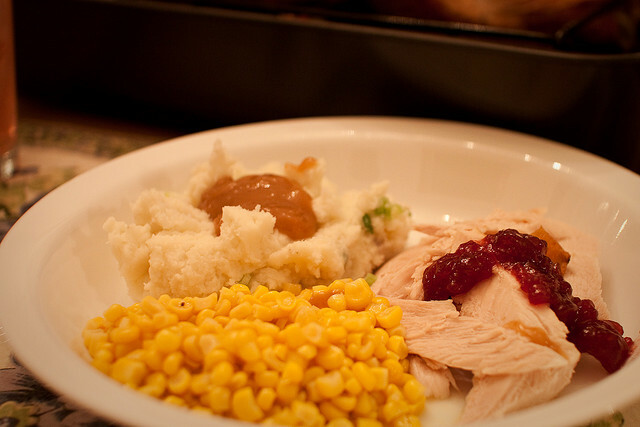 Really, Thanksgiving is famous for serving turkey with cranberry sauce. And fish always seems to be served with lemon. There's more than I realized! Chicken goes well with most fruits. Apparently duck goes really well with berries and cherries. I'll have to try some of that sometime. Citrus fruits are usually a safe bet with most meats, because it's not only sweet, but it adds a tang. 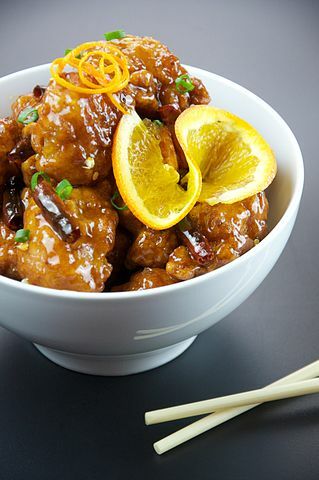 The Asian food we love from our restaurants often serves orange or lemon chicken/pork/beef. I've even had a strawberry chicken once that was amazing, but it wasn't as good as the tangerine beef I had at the same restaurant. Pineapple and peppers are common in a lot of sweet n sour recipes. Beef in itself is a little harder to pair with fruit though. I've had beef with Yorkshire pudding, but it's not your typical pudding, there's nothing sweet about it. Doing some research, I've found that spiced or curried fruits go well, or dried fruits like apricots and pears. In the case of beef, tomatoes might just be the fruit to pick. 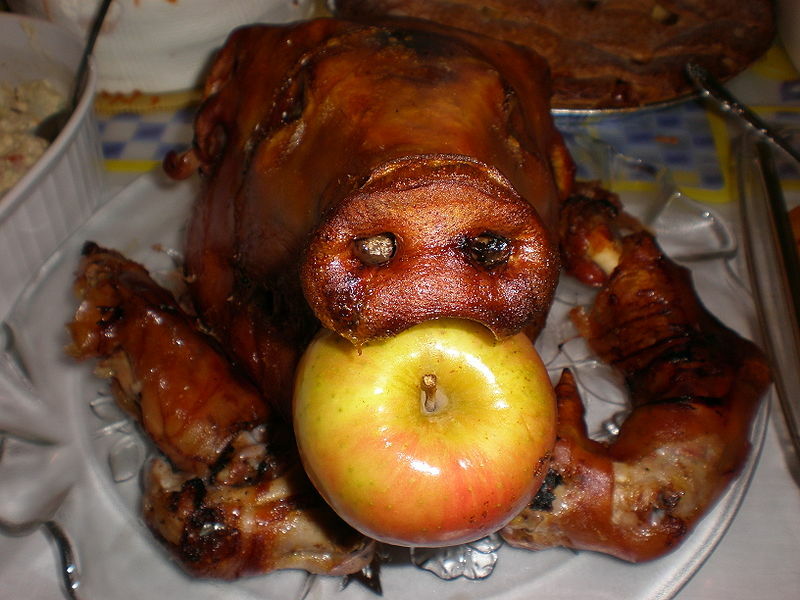 I have all of this information about pairing fruits with meats, but I never got down to why we put an apple in a pigs mouth. 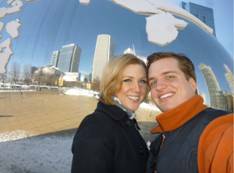 In case you're curious, I'll tell you what I've found. It used to be a tradition to put the apple in the pigs' mouth to allow any gasses to escape from it as it roasted. As it turns out, that's not really necessary. Now days people will roast the pig with a ball of foil in the mouth and before serving it, switch out the foil for the apple, mostly for aesthetic purposes. A pig snout isn't the prettiest thing to look at, especially if the pig is laying on the platter with a closed mouth apparently. So cook it with the mouth open, put in your apple, and don't touch the snout. Another theory is that the apple in the pigs' mouth is symbolic. During fall harvest, apples would be used to fatten the pigs up before eating them. When the pig is killed and served, it is served with the very food that gave it life (and fat). It's a whole circle-of-life deal. Have I missed anything? Anybody know why cranberries are served with turkey? Lastly, if you like a certain fruit with your beef, please tell me!